Remember when the trend was who has the smallest and weirdest looking phone? Pretty sure some of us did not hallucinate the Nokia 7280 or the N-Gage. But right now, the design has been pretty consistent. It seems the trend is more on which phone looks more stylish and elegant, and this means sleeker and minimalistic designs. So if phones pretty much look the same (albeit there are minimal defining features for each brand), which feature are they still working on to get the upper hand over the competition? Screens. Yes, bigger screens that have high definition graphics. Some people are content with the standard screen size, but there are those who like an even bigger screen. 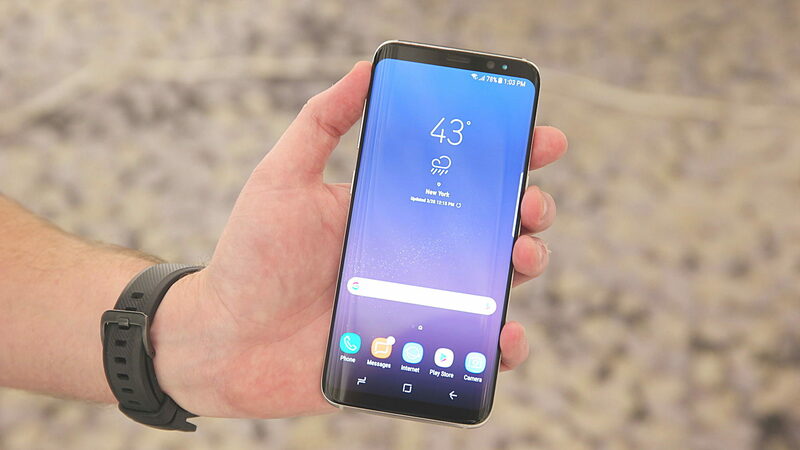 This is why brands have started releasing “Plus” variants of their flagship models like the new Samsung Galaxy S8 + that will be available from Harvey Norman online soon or at any of the shops you go to. But is it really just for design purposes, why do people suddenly prefer much bigger screens? Here we explore the reasons why the adage “bigger is better” is true in this case. Now that everyone has a smartphone and that there are apps to allow us to work while on-the-go, it makes sense to prefer a much bigger screen than a standard one. For one thing, it makes it easy for us to view important documents like an Excel or Word file. You can even edit these documents without any hitch because of a larger keypad. Additionally, if you are a bookworm, a bigger screen will help you read your eBook better. Yes, you can get yourself a Kindle, but why do that if you can download the Kindle app and access your eBook on your smartphone. That is one less device to spend on or think about bringing when you leave for trips. We do not just read or work on our phones, sometimes we prefer watching our shows there. It seems pretty antithetical to want to watch on your phones if you want better colour and details on your films and TV shows, but a smartphone with a bigger screen does offer it. Watching on our phones may not be as immersive as watching in the cinema, but it is a good alternative. You can also expect to have high-quality pictures with a bigger screen since you can have access to all kinds of controls and see any detail you might miss on a small screen. Moreover, since there is better clarity with bigger screens, video chatting is an even more enjoyable experience. Bigger screens obviously means a bigger device, but also a bigger battery pack. This will allow for a much longer battery life, so you can enjoy your book, your film, or continue doing your work without worrying a lot about the need to plug it in immediately. Admit it, sometimes we just a pick phones because of the games available for it. That is completely fine and a lot of people are doing it. You know what, a bigger screen gives a much more immersive experience in gaming. Even if it is as simple as Fruit Ninja or Clash of Clans, a bigger screen will allow you to see more of the game and play better. These are just some of the benefits of having a phone with a bigger screen, you probably have your own reasons for wanting to get one. So the next time you line up for a new phone this year, consider all of these to help you narrow down your list. Low price high performance: Xiaomi Redmi 4 Review & Specs.